Huawei Passes Apple in Global Device Sales, but for How Long? Chinese smartphone maker Huawei has surpassed Apple in global device sales for the first time. According to a new report, Apple has gone from second to third after continued sales growth from Huawei this summer allowed it to pry second place away from the iPhone. The China-based company now trails only Samsung in sales, but the gap between the two remains extremely large. Samsung shipped nearly twice as many devices as either Huawei or Apple last quarter. While outpacing Apple is certainly good news for Huawei, its position may be short-lived. Many believe Apple sales have stagnated this summer as a result of consumers holding off on purchasing a new device until the iPhone 8 drops later this fall. Apple fans will get their first official look at the new device (which has been hyped as something special given the 10-year anniversary of the first iPhone) at this week’s unveiling on the Apple campus. As we get closer to Apple’s big reveal of the highly anticipated iPhone 8, details about when users can get their hands on the product continue to emerge. According to a new report, the iPhone 8 (which may also be called the iPhone X or iPhone Pro) will likely ship later than the standard iPhone 7s and 7s Plus. It’s uncertain how long Apple may withhold the more expensive device, which is believed to top out at more than $1,000 thanks to features such as nearly bezel-less design, OLED screens and facial recognition technology. Ongoing rumors of production delays for the new iPhone continue to surface due to trying to embed fingerprint scanners within the OLED screens. We will know more soon will Apple provides the full launch details at the upcoming product reveal this Tuesday, September 12th. 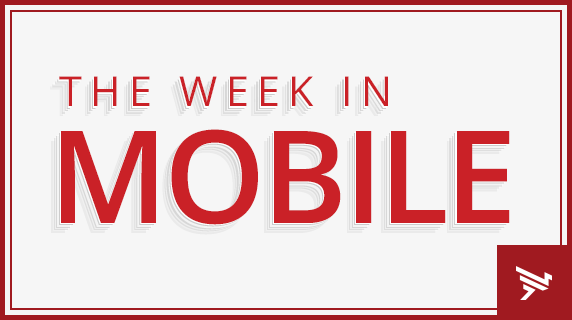 Apple isn’t the only one looking to up its mobile device game in September. Xiaomi has confirmed a long known rumor that it would be teaming up with Google for its newest phone. The partnership means that Xiaomi’s new Mi A1 smartphone will receive Android updates sooner than its competitors, and could be a major sales boon for the device maker with a strong presence in Asia, Europe, and Mexico. The Mi A1 is priced at $234, and sports a 5.5-inch display that will support full 1080p resolution. Coincidentally (or not), the phone is set to go on sale in India on Tuesday, September 12th. On the heels of its latest partnership with Amazon for integrated AI voice assistants, Microsoft is now teaming up with Facebook to provide an open source AI resource repository. The company has launched a new effort with the social giant called the Open Neural Network Exchange (ONNX), which aims to allow developers to switch seamlessly between new AI engines and jumpstart the crowdsourcing of improved algorithms. The two companies say they hope a new, open platform will lead to quicker development of buzzy AI applications, such as driverless cars and robot helpers. Waze has found a new humanitarian use for its carpooling service, which primarily helps commuters connect with others to catch a ride to work. The company has announced that regions of Texas and Louisiana that were hit by Hurricane Harvey can now use Waze to help those in need catch a ride, connecting those without a ride and drivers with empty seats going in the same direction. More than one million cars were damaged by the hurricane, and Waze has established a Facebook group separate from the app to help people find a way around. They are also urging app users to report flooding hazards and other dangers to their real-time editors to help keep drivers safe. Matchmaking service Tinder has struck gold with its new premium offering, taking the top spot for the highest grossing app in the App Store. The new subscription service, Tinder Gold, takes the legwork out of finding that next date by allowing users to see who has liked them without having to go through any swiping. The company has been slowly tinkering with ways to monetize since 2015, introducing pay-to-play features such as unlimited swipes and the ability to search outside a user’s geographical location. Dating apps reportedly make up roughly a third of all the top grossing iOS apps, according to App Annie.